With green building on the rise, risks from mold exclusions to insurance coverage may also increase! Lending on green buildings creates an opportunity for brokers and lenders to enhance their corporate image as sustainable businesses. 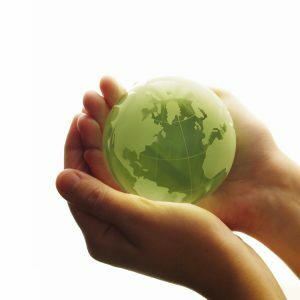 Other benefits of participating in the environmental movement include creating greater shareholder value, improving recruitment success, enhancing employee morale and having a competitive advantage in lending practices. Like any sea change in the global economy, however, the green movement introduces new risks for the commercial mortgage industry. Informed brokers and lenders that do not manage the new risks may face an increasing number of nonperforming loans on uninsured properties. Traditional lender risk-management protocols, including the insurance requirements in loan covenants, will not be enough to address the green movement’s new risks. One primary challenge is the future obsolescence of older buildings that physically cannot be upgraded to green standards in the face of new demand for green office space. To address this new default risk, lenders must add it to their long-term financing underwriting guidelines.A more-immediate and widespread risk that affects all loans — but that may affect green buildings disproportionately — is the impact of universal mold and bacteria exclusions in insurance policies. Green buildings are energy-efficient and use more-sustainable recycled building materials. Therefore, they inherently have a greater chance of developing mold growth and interior air-quality problems than older buildings that used raw wood. ….Universal exclusions are now in place on commercial insurance policies. Mold and bacteria exclusions have even found their way into mortgage-impairment and bankers’ professional-liability policies, which are traditionally lenders’ last line of defense on their secured loans. Lenders with insurance-sales operations also face new professional-liability risks for the insurance agents who fail to advise their customers about the far-reaching implications of universal exclusions. Because appropriate insurance for these damages is available at economical premiums, agents who leave a customer unintentionally uninsured are relatively easy targets for a professional-liability claim. To eliminate their professional-liability loss exposure, agents should offer appropriate mold coverage.